This is is an award winning cup for your toddler for when you are out and about or at home! 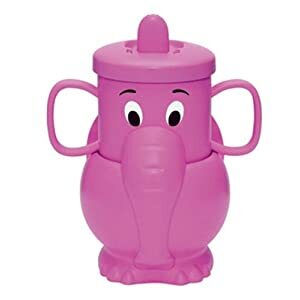 It is an elephant-shaped beaker that attaches strongly to the car windows (fridge or patio windows) This way your little one can always easily reach their drink and you don’t have to take your eyes off driving to pass it to them. Each time they use it there is a brilliant elephant noise to encourage them to try it again and again and to be sure they put it back in the right place! BPA free. It is available in pink, blue, orange and lime, Harry our little tester thought this was great fun and has used it a lot when sitting in the car. It’s always good to encourage their drinking. We have also been reviewing this Dolly Girl Lunch Box. So cute, really vintage looking and perfect for my daughters sandwiches. This retails at just £4.95 and there is a whole range of items available from the shop with this image. The dotcomgiftshop sells truly lovely home and gift items. Do take a look. 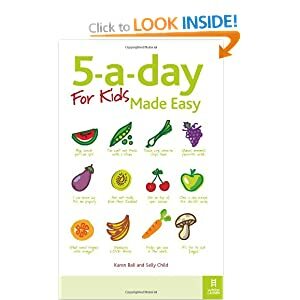 This book has lots of easy ideas to get your kids eating more fruit and veg. It includes meal plans, cooking on a budget, simple recipes and time saving tips. I like this tip…they suggest you get them to count (just occasionally) at the end of the day how many of their 5 a day they have eaten. Give them 10p if they name five or more. This should keep them on their toes! It’s a great bppkl really useful if you are in a bit of a food rut with your children. 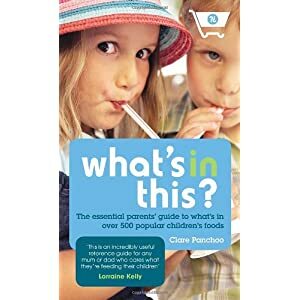 This little book is an essential guide for parents as to what is actually in over 500 children’s foods. It is basically an a-z guide to all ingredients and e numbers, stripping the science away and letting you really know what is in your kids food. It also lists what you should avoid, for children generally and then in regard to specific conditions your child may have. Such a useful book to educate ourselves about such an important issue. Most of the time I have no clue what I am reading on an ingrediants list. Do you? Previous Post UK shoppers are demanding more bargains – but where do the biggest bargain hunters live? will the water reservoir conveniently ready and not cramped for pouring water at? Is definitely the cooking pot alone simple to slip at and out of the device?